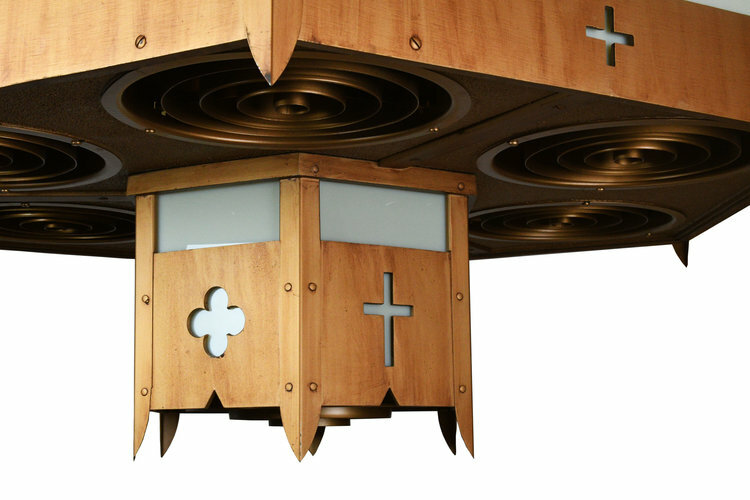 Hexagonal metal paneled chandelier with second tier below. Glass panels diffuse light to create ambient light conditions. Fits beautifully in high ceilings. We find that early antique lighting was designed as objects of art and we treat each fixture with careful attention to preserve original beauty. Our fixtures are cleaned, rewired, and restored & are ready to hang, following UL standards. We can work with you on code requirements.